On June 17, 1943, a group of four army P-47 fighter aircraft left Hillsgrove Air Field in Warwick, R.I., for a training flight. After an hour of flight time, the plane flown by 2nd Lt. Robert W. Powell developed engine trouble. 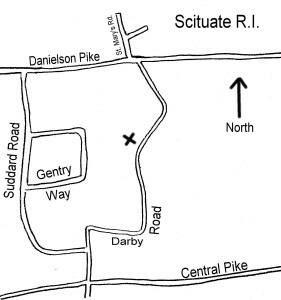 After notifying the flight leader of his situation his engine failed completely, and he was forced to “belly land” in an open field off Darby Road in the town of Scituate, R.I. In coming down, the plane clipped the top of a tree, and skidded into a stone wall surrounded by brush. The plane remained upright, and there was no fire. Lt. Powell was relatively uninjured. One interesting footnote to this incident is the area in which this crash occurred. Few people know that during World War II the former Suddard farm on Darby Road was the site of a top secret radio monitoring post, protected by armed guards, and staffed 24 hours a day by people tasked with listening to radio transmissions all over the world. 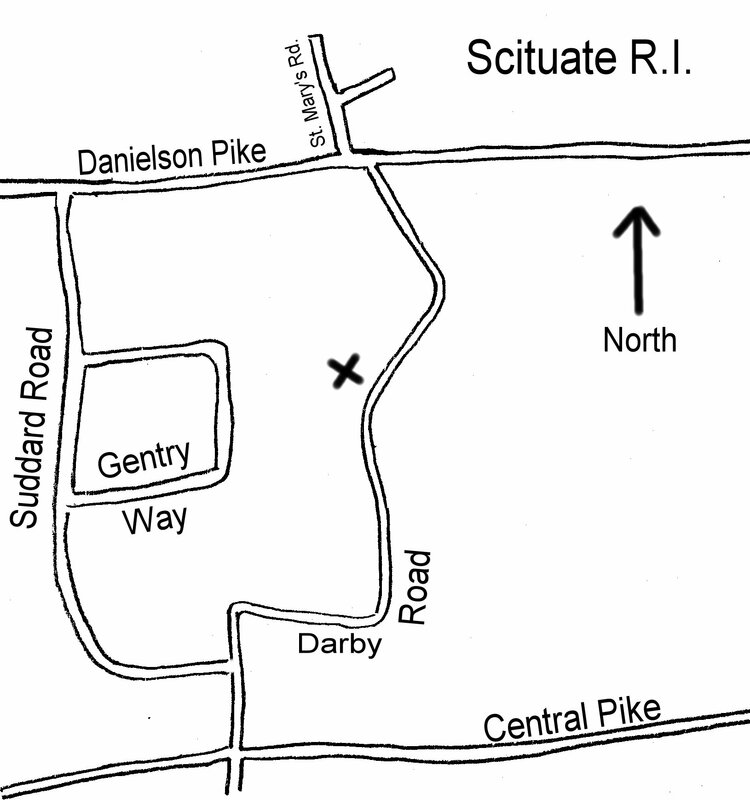 For some unexplained reason, this area of Scituate is capable of doing so. The site was established in March of 1941, and remained in operation throughout the war. It was credited for saving the Queen Mary with 10,000 troops aboard, and for preventing Japanese attempts to bomb American soil using hot air balloons. Of course, Lt. Powell had no idea of this when he made his unexpected landing just down the street. 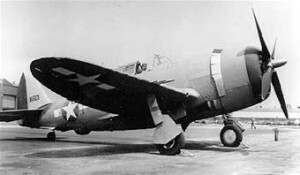 Powell’s aircraft was a P-47C Ser# 41-6132, assigned to the 58th Fighter Group, 311th Fighter Squadron. Another footnote: This was not Lt. Powell’s only forced landing. On October 21, 1944, he and seven other P-47 pilots were forced to ditch in the water when low on fuel after an attack mission. Powell’s plane’s serial number was 43-25636. Providence Journal, “Army Plane Lands In Scituate Field”, June 18, 1943, Pg. 4.